San Francisco Mayor London Breed on Friday afternoon appointed Ivy Lee to the City College of San Francisco Board of Trustees to replace Rafael Mandelman who was sworn in as a member of the Board Supervisors earlier this month. Lee, 46, a civil rights attorney and now the former chief of staff to Supervisor Jane Kim for the last five years, has led efforts to pass many pieces of legislation, including preventing employers and housing providers from asking perspective employees about past criminal history, increasing the minimum wage, and providing free City College for San Francisco residents. 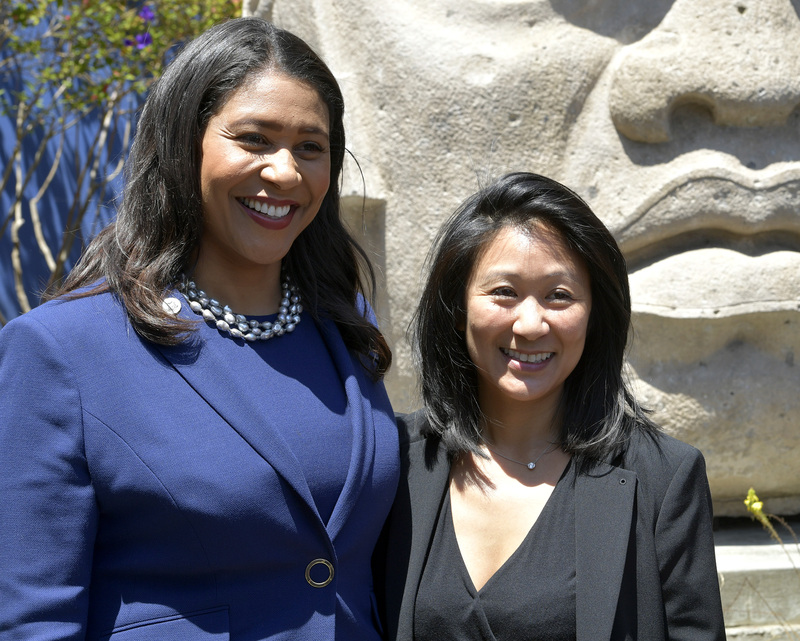 San Francisco Mayor London Breed, right, poses with Ivy Lee, left, after her swearing in ceremony outside the Diego Rivera Theatre in San Francisco, Calif., on Friday, July 20, 2018. 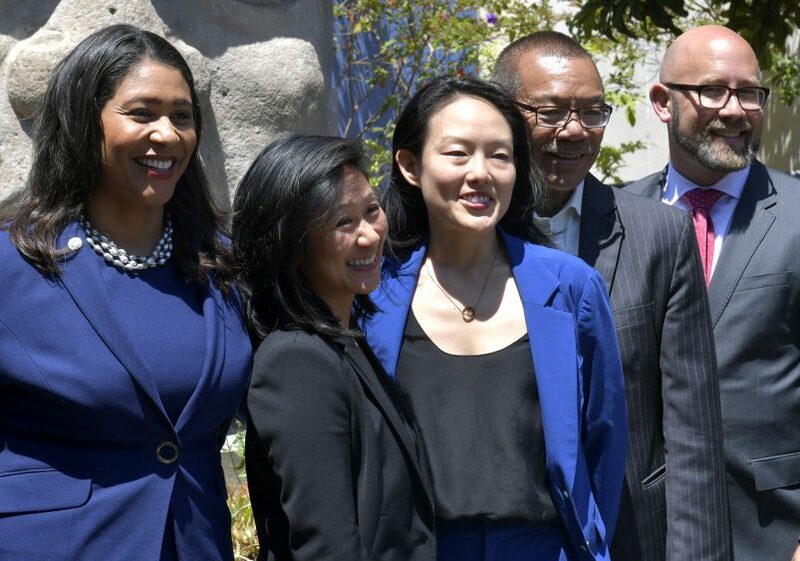 From left, San Francisco Mayor London Breed, Ivy Lee, supervisors Jane Kim, Norman Yee, and Rafael Mandelman pose for a photo after the swearing in ceremony outside the Diego Rivera Theatre in San Francisco, Calif., on Friday, July 20, 2018. Lee was also credited for her work in the passing on Proposition C in June which created an additional tax for commercial property landlords to help fund early childcare and education programs. After taking the oath of office, Lee said she was honored that Breed chose her for the job and said that education and teachers have made a difference in her life. 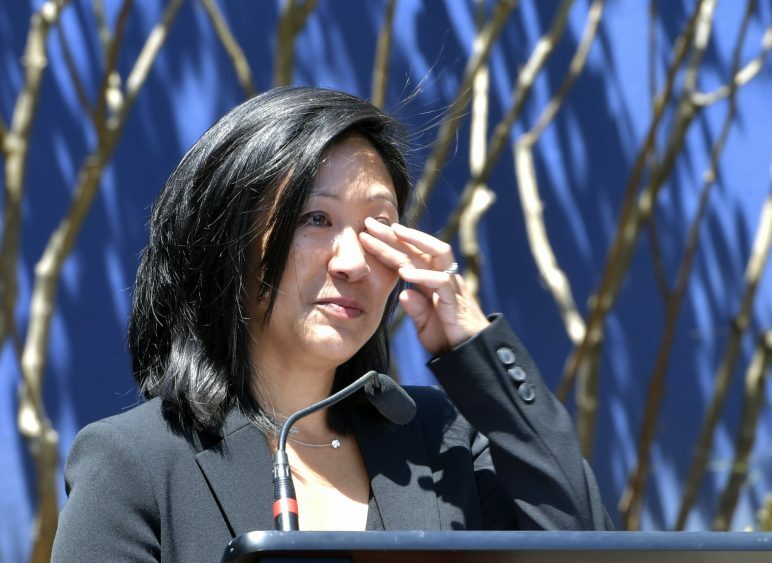 Ivy Lee, right, addresses the audience after taking the oath of office outside the Diego Rivera Theatre in San Francisco, Calif., on Friday, July 20, 2018. Lee said one of many tasks she looks forward to is to keep the free City College program going year-round for city residents. She will have to run in November of 2019 in order to continue to serve on the Board of Trustees.